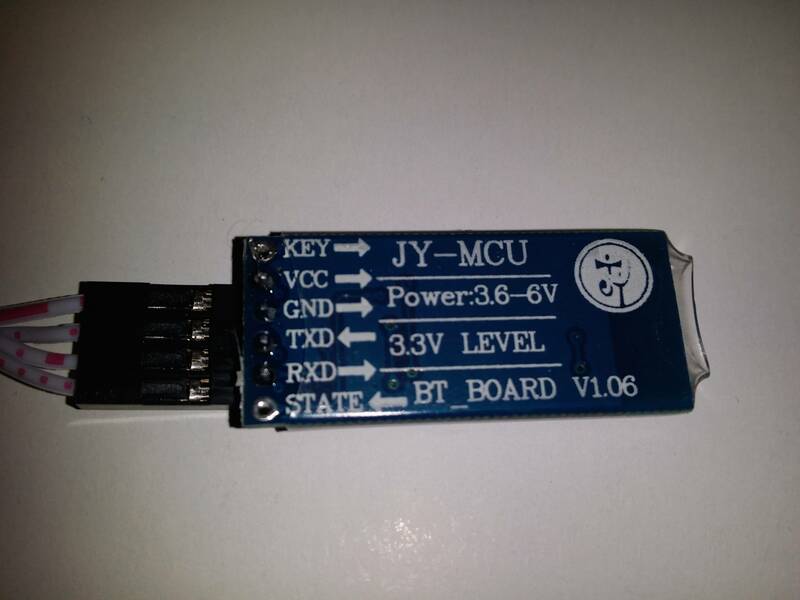 I have a popular bluetooth module JY-MCU version 1.06 (picture below). Before i insert it to my arduino project I want to configure the name, bound speed and the pass code using usb-to-serial link. But I am facing a problem where the device does not respond to commands. Please let me explain. Maybe you had this happen to you? I am I sending wrong commands or doing something wrong? Please help me to figure out how to control this module. OK, I figured it out. It looks like CoolTerm was sending wrong line endings. Thus the only command that worked was name change as it interpreted the extra symbols as part of the name specification. Now I am using in built Arduino serial communication and it works like a charm! You are to send the command unterminated within one second. For example the AT command comprises the two characters AT and nothing more, no line ending at all. And the command must be completed within one second. AT[cr][lf] will just be ignored. Not the answer you're looking for? Browse other questions tagged serial bluetooth or ask your own question. Bluetooth Module AT command error?